Benjamin Royer Photos, News, and Videos | Just Jared Jr.
Skai Jackson Completely Slayed the RDMAs 2017 Red Carpet! The red carpet got even brighter the moment that Skai Jackson stepped onto it at the 2017 Radio Disney Music Awards! The Bunk’D actress met up with co-stars Nathan Arenas, Karan Brar, and Nina Lu at the annual event. Best Friends Whenever stars Benjamin Royer, Matthew Royer, and Landry Bender, plus Stuck in the Middle‘s Ariana Greenblatt, Nicolas Bechtel, Malachi Barton, Kayla Maisonet, and Cerina Vincent were also there, plus Descendants 2 stars Anna Cathcart and Brenna D’Amico. FYI: Skai wowed in Marc Jacobs dress, Gianvito Rossi shoes and Sarah Magid jewels. 'Girl Meets World' Star August Maturo Wishes Real-Life Mr. Feeny a Happy Birthday! August Maturo sent a very special birthday message to his Girl Meets World co-star William Daniels – AKA Mr. Feeny! The 9-year-old actor took to Instagram where he posted a cute selfie of them together. 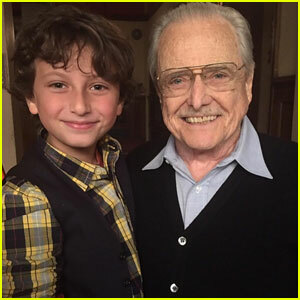 “Happy birthday to the MAN, the MYTH, the LEGEND @mrbilldaniels Working with you was the greatest honor & one that Auggie will never forget,” he captioned the pic. Also pictured below: August steps out at the Ronald McDonald House Charities (RMHC) Los Angeles Walk for Kids with Benjamin and Matthew Royer, Ethan Wacker, Landry Bender, Madison Hu, and Olivia Rodrigo on Sunday (April 2) in Los Angeles. 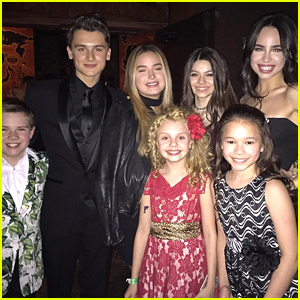 Sofia Carson Reunites With 'Adventures in Babysitting' Cast For Disney's Jungle Ball! Sofia Carson gathers up with most of her Adventures in Babysitting cast mates inside Disney’s annual ball. Jet Jurgensmeyer, Nikki Hahn, Madison Horcher, Mallory J Mahoney, Max Gecowets, plus Sofia‘s real-life sister Paulina Char grabbed the snap inside the bash, which had a cool jungle theme going on this year. The entire ball was filled with today’s Disney stars including: Bizaardvark‘s Olivia Rodrigo, Madison Hu, Jake Paul, and DeVore Ledridge, Girl Meets World‘s August Maturo and his brother, Ocean; plus Sophie Reynolds and Miranda May were glamming up the ballroom with amazing looks. 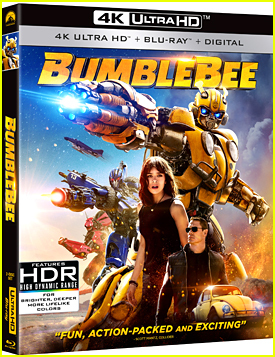 Andi Mack‘s Sofia Wylie, Peyton Elizabeth Lee, and Asher Dov Angel; Stuck in the Middle‘s Jenna Ortega, Malachi Barton, Nicolas Bechtel, Ronni Hawk, Izaak Presley, Kayla Maisonet, and Ariana Greenblatt; Best Friends Whenever‘s Landry Bender, Ricky Garcia, Gus Kamp, Matthew Royer, Benjamin Royer, and Ricky‘s Forever in Your Mind bandmate Emery Kelly were also at the party. 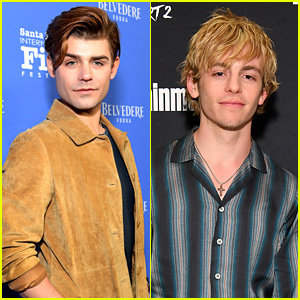 Former Dog with a Blog stars Francesca Capaldi and Blake Michael also hit the bash, along with JJ Totah, Dante Brown, Grace Kaufman, and Meg Donnelly. See all the pics below! 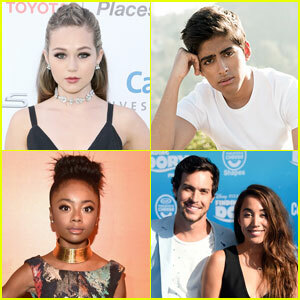 Brec Bassinger, Karan Brar, & More JJJ Faves Tell Us Their Thanksgiving 2016 Plans! Are you ready for a fun-filled Thanksgiving this year?! 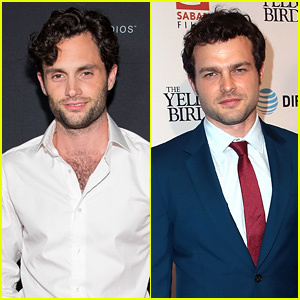 We caught up with some of our favorite stars to ask them who they’re spending the holiday with, what they are eating, and what it means for their family! Brec Bassinger, Karan Brar, Chandler Kinney, Skai Jackson, Alex & Sierra, Eva Gutowski, Daniella Monet, Collins Key, and Cree Cicchino all all told us what their plans are! We also caught up with Meg DeAngelis, Matthew and Benjamin Royer, Jet Jurgensmeyer, Meredith Foster, Thomas Barbusca, Madisyn Shipman, Rio Mangini, Jacob Bertrand, and Jordyn Jones. Jordyn Jones hits the orange carpet at the 2016 SKECHERS Pier to Pier Friendship Walk held at Manhattan Beach Pier over the weekend in Manhattan Beach, Calif.
Just after walking and posing for pics, the “I’m Dappin” singer hit the stage for a performance, along with New District and Asia Monet Ray. The event united over 12,000 people who joined together in support of the walk including Riele Downs, Cree Cicchino, Jailen Bates, Matthew Royer, Benjamin Royer, Benjamin Stockham, Aidan Miner, Lance Lim, and Albert Tsai. The SKECHERS Pier to Pier Friendship Walk successfully raised over $1.6 million and the monies will go to help even more families with special needs children and improve the public education system.